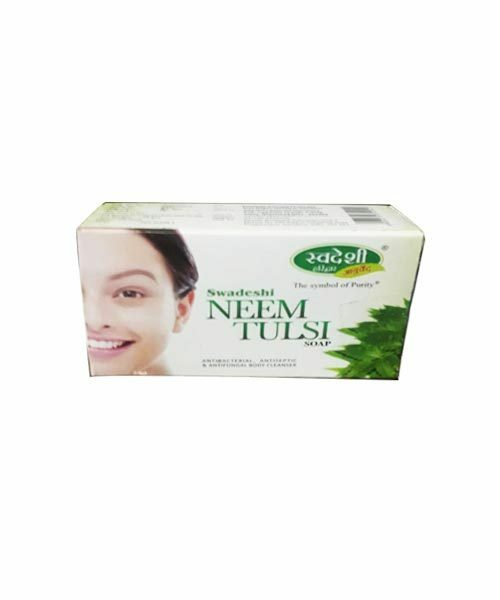 The product contains neem and tulsi. It ?Soothes backaches and relieves stress, tension from the muscles. It acts as an anti-bacterial clearing up skin rashes, eczema and ache.